Nigeria’s aviation authority on Thursday rejected suggestions that some of the country’s airlines were set to close after two carriers suspended flights indefinitely. 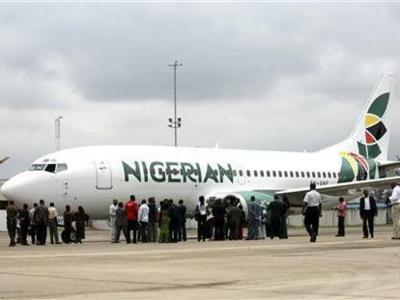 Airlines in Nigeria, which is in its first recession for more than 20 years because of the effects of a slump in oil revenues, have experienced fuel shortages in the last few months because the supply of dollars needed to pay for refined oil products has dried up. The fuel shortages have caused an increase in cancellations and delays to flights across Africa’s most populous nation. In a statement on its website, airline Aero Contractors carried a statement in which it said all of its scheduled flights were “temporarily suspended” from September 1. Four years ago, Asset Management Corporation of Nigeria (AMCON), a state-backed “bad bank” established in 2009, took on more than 132 billion naira ($663 million) of debts from 12 Nigerian airlines which included Aero. Another airline, First Nation, also said it had suspended flights. “The Nigerian Civil Aviation Authority (NCAA) has dismissed sundry claims that some airlines are winding down their operations,” said Muhtar Usman, its director general. “On the contrary, these airlines are merely suspending operations temporarily to enable them to undertake certain operational overhauls and strengthen overall operational outlay,” he added. He said Aero Contractors only had “one serviceable aircraft”, which contravened the aviation authority’s rules which state the minimal acceptable number is three planes and meant a suspension was needed until other aircraft arrived. Usman said First Nation was undergoing an engine replacement programme for one of its aircraft and another of its planes was due for mandatory maintenance. “In these circumstances these airlines clearly cannot continue to undertake schedule operations, hence the inevitable recourse to self-regulatory suspension,” he said.